The holiday season seems to be an extraordinarily special time for many people, that brings them a little bit closer each year, albeit for a short period in most cases. This year, really get the most out of your holidays by making the people you love the most feel loved back. As kids, we get excited for the holidays because we got gifts and money if we were lucky. Now it’s time to turn the tables as adults, and do something in return for those who did so much for us before. For a lot of people, material gifts don’t mean as much as making a sincere action. That’s part of maturity and growing up. So this year instead of buying your dad a new tie… again, take him out for a nice dinner. It could be a father daughter formal dinner date, or a father son basketball game or concert. For moms, the same; mother son night out dancing or a girls day getting your hair and nails done capped off with a massage. You can find deals for almost all of these at local salons online. Speaking from experience, I know living as a young adult fresh out of school is hard; typically living paycheck to paycheck and possibly working multiple jobs. Life alone for the first time is difficult. If you are a parent and your kids are out on their own, maybe think of what they need more than what they want this year. Maybe you could offer to cover a partial month rent/utilities or come up with a way to help them get the lasik surgery they’ve always wanted but couldn’t get.. If you really can’t think of anything, talk to them; they’ll gladly share what they need the most. Gifts like these might not be luxurious but they are practical, which is more important at this point in many young adults lives. The holidays aren’t just about giving and receiving gifts or doing acts of kindness for your loved ones, more important is the time you spend together. Try to put some thought into this holiday season. If you’re on a budget there are deals online or even DIY projects that are practically free. Happy Holidays everyone!! I'm always looking forward for the weekends eventhough I am always at home. It's always when I have the time to go out with friends for meet up, for a coffee, ktv, watch a movie or simply do some chita-chatting. Shopping or strolling at the mall is also my fave to do on weekends for I can do some shopping around even for some lil' things for myself or around the house. Last weekend is exceptional, I went out for a bit after lunch with some of my former highscool friends. We're scheduled to watch the basketball game of our batchmates. The game was exciting eventhough we lost by 13 points over a much younger batch. My classmates only had some practice and being a little old (late 40's), you'd not expect our players to be on their utmost shape and speed. Us girls had so much fun cheering for the boys, we're screaming at the top of our lungs to the point that we already need a megaphone or a akg p220 mic so we need not shout so loud. The arena seemed too dull bec. there's not much people around but the music and the game kept us in. Our boys did a good job and we're looking forward to the next game. Ahhh.. chocolates.. how can I resist them? I know that chocolates when eaten in too much quantities is bad for our health as it can increase our sugar levels and even added lots of calories in our body. However, research also will tell that chocolates esp. the dark one can be beneficial too as it contains antioxidants as well. As for me, a bight or two after meal is ok enough to satisfy my choco cravings. It can also minimize the after taste brought about by some food. 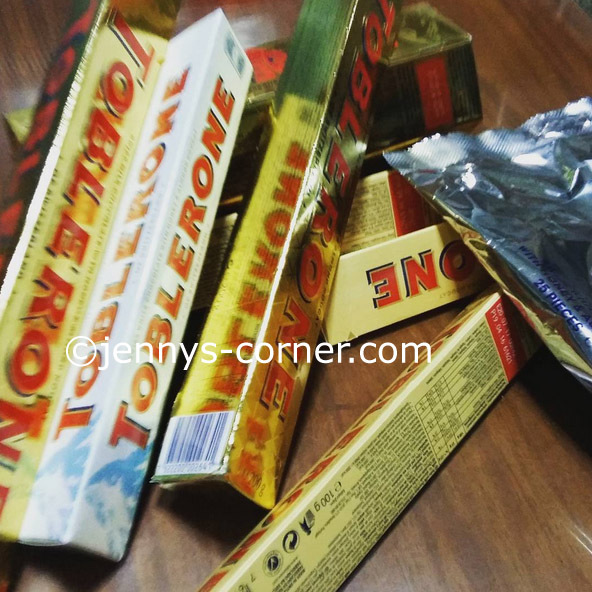 Toblerone are not my fave bec. kisses with almonds are my thing. These are sent to us by my sister who is working in Riyadh, Saudi arabia. From time to time she sent us some goodies and we're always grateful and happy to receive them. I have been busy lately with my digital designing stuff and I have released about 14 digital papers just yesterday. Wow, that is record breaking! I can make about 1 or 2 sets but not 14! I'm super inspired the other to make all those papers. My creative juices are just overflowing so I just took advantage of it. While working, my all time companion is non other than music! Oh yes... I just open my Spotify account and choose whatever albums that I want depending on my mood. It's always a good companion of mine as I become more inspired to work and I don;t get bored while working. Right now, I'm listening to some sappy and sentimental songs that I follow and the selections where are all good. Makes me in love and inspired :). Music sets our mood and just thinking about the vocalist and the men behind every song, it makes me wonder and be at awe at their talent. The drummer, the guitarist, keyboardist and more all play important role in making a song. Even if you are using a korg taktile or even not so-expensive instrument, if you put your heart and soul to it, I guess it will also turn out beautifully. I love having pretty nails as it can add more beauty to my over all appearance. Lately, I want to try different shades of colors because I'm already bored with the same old red shades on my nails. This time I want some colors. 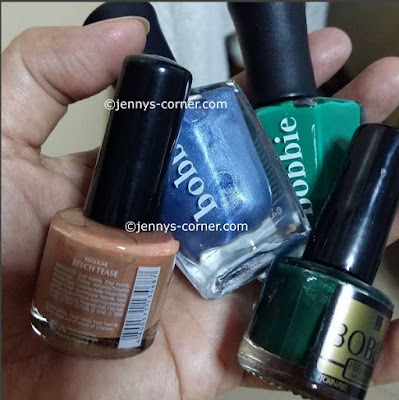 Bought these bobbie nail polish at SM store and oh boy, I want to take all the colors available but I'm sure I will not be able to use them soon. Once it is open and it will not be used for long peroids of time, the polish will harden.. Here are just few colors that I can't wait to use the periwinkle color. .. yay! It will match the blouse that I bought too. Just like what I have said on my previous post, Christmas will be coming soon in no time. What a wonderful time for family gathering and giving gifts during this season. I might have to shop early this year for Christmas gift and I think I will start as early as end of October and 1st week of November. Online shopping has gone so far these past few years and more people are using this method buying stiff for themselves and loved ones. It's easier to shop online too and with various stores available shoppers have many options to choose. Not only on regular stores where you can see bargain or discounted items but also online. You can find promo codes like this woodwind brasswind promo code where you can get discount on various musical instruments, that are perfect for music lovers. Wow.. I can't believe it .. it's already half way of SeptemBER.. and soon December will be here once again. It's only in the Philippines where people got excited when BER months come because it only means that Christmas and other holiday will come. I'm pretty sure that most of us want to celebrate Christmas. Christmas is the time for family reunion, old classmates' gathering and time to be with our friends and relatives. Though during holidays it can mean more spending because of gifts to buy and also places to explore .. but nothing beats the feeling of happiness it can give. Our family always gather during Christmas time and it's always a grand reunion for all of us where we can be together though 2 of my sisters and their family are living overseas now. There are times that they go home for holiday vacation. It was in 2013 where we are all complete (sans my dad who dies in 1989 already) and it was a blast. Hoping for a grand Christmas time again this year. Having alcohol problem is something that you should never be ashamed of. We need to acknowledge the fact that there are hundreds of thousands of people that are now rehabilitated and that have no problems in dealing with this addiction. The truth is that alcohol treatment is possible and that you can get the help that you need. The problem is that not all the alcohol treatment programs are great. Some are actually pretty bad. It is important that you learn how to choose the one that will actually help you to kick the bad habit. With this in mind, even if we do not have a problem with alcohol, we should all know the characteristics of that great program. We never know when a friend will need our help. What Should An Alcohol Treatment Program Include? A great addiction treatment clinic will offer much more than physical and mental restraints that stop people from drinking in the future. There are many advertisements that will appear and the focus is normally put on the amenities offered by the clinic. In reality, other facts are much more important. • Proper Licenses And Accreditations – you want to be 100% sure that the alcohol treatment programs are going to be state accredited. At the same time, licenses have to be in place. 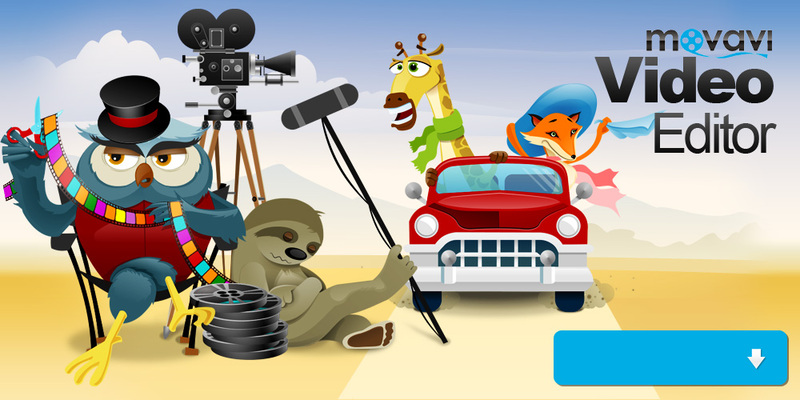 As an extra, be sure that you focus on the staff. You want to be sure that there are good addiction specialists and mental health professionals that are hired. • Treatment Method Effectiveness – the treatment center has to show you some success rate statistics. The best statistics are always offered by an outside agency that is objective. • Aftercare Services –this is a factor that many forget about but that is incredibly important. There is a need to have some sort of aftercare program that is well-run. If not, the program should at least have some referrals to support groups and recovery services that are very good and that would work with the alcohol treatment program the patient would go through. • Residential treatment – the patient will live at the facility while going through alcohol rehab treatment. This can take up to 3 months. • Partial hospitalization treatment –when a stable living condition exists but partial hospitalization is necessary. • IOP (Intensive Outpatient Program) –major time commitment is needed but the program is not live-in. • Counseling – this basically works better as a follow-up support. • Sober living – a highly intensive program like the residential treatment. • Brief intervention – a program that is only appropriate in the event that there is an individual that is at risk of developing alcoholism or alcohol abuse. As you can see, have patience and always read everything that you can about the considered treatment option. You never actually know what is the best so do be sure that you will consider everything that is available and that you will compare options in order to gain exactly what is needed for the individual. 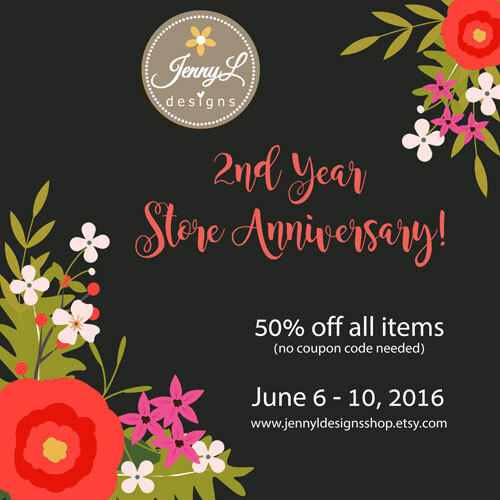 I can't believe it, my store just turned 2 today and to celebrate, catch my 2nd Year Anniversary 50% OFF sale at my ETSY store JENNYL DESIGNS , all items are on sale and that includes also the Commercial Licenses. Go fill your carts now! I have 356 products to choose from and will make more fun items in the future. It's official rainy season is here already in our part of the world. It started last week and just today it rained so hard this afternoon. Worse is that my laundry woman washes our clothes today. The end result, still wet clothes on the hangers. Rainy seasons usually starts end of May and up to September=October though there are days when there still rain in November. I just prayed that no major floods that will happen anymore. We feared that Ondoy type of flooding will happen again and that will be a major disaster. Thankfully, mom already had our roof replaced and our roof gutters cleaned last summer and that means we are ready for the rainy season. Hope all will be safe this season as we heard that this year there will be La Nina. When at home while working on my graphic designing, I also have the time to watch news and other shows even while working. TV is on while working and it serves as my background sound or music. Today, mom is at home early and as usual she wants to watch her fave afternoon show, wowowin a local game tv show that gives a lot of money to their contestants. Though the shouts and screams of the people are deafening, I can hide the fats that the show is rating and well loved by their fans. The sound effects that seemed like they use david gilmour amp or whatever on the show and the energetic host and co-hosts make the show lively.The show obviously have a lot of sponsors that is why they can give a lot of prizes. No wonder the show is flocked by people from provinces because of the happiness, prizes and laughter that the show can bring. I was fortunate to have been given an Australian visa once again last year. The visa is valid for 3 months stay with no work, no further stay but with minimum of study for 3 months. Since my sister and her family is having a vacation at the end of year last year, they booked my flight last Nov. 22 and I flew immediately. I was so happy to be back again in Australia after 8 long years since I have been here. I love the country, the people, the way of life and more.. so I was excited that my visa was approved. It was my first time to experience Christmas and New Year in Australia and it's very different from what I am used to in the Philippines. I can't say that I love it because it was just like an ordinary day except for the joy in opening of the gifts. With the 3 months that I have been here, i have explored a lot of places like beaches, churches, restaurants, shopping malls and more and I love it. Wishing there will be another year that I will be here. I love Australia and I will dearly miss it very soon..
What a nice day again here at the Land Down Under and sad that my sister is under the weather right now after our girls night out last night. I had some few time for myself today, cleaned my mobile phone of the photos that need to be transferred to my EHD. It was also the time clean my niece's room who has not been home for quite sometime since she is at her apartment in Sydney. There goes her guitar that she bought few years ago just lying on the wall. It would have been nice to see her playing it while at home but she's out of the loop for a while. I have some questions in my head like what are the strings on a guitar look like when it's not being used all the time. Will it sound the same? This is my first time to experience Holidays here in Australia and it's really different one for me. Our Christmas started with the opening of gifts. The kids and I had a great time opening our gifts for Christmas. I had quite a lot of gifts too that I will cherish. A Christmas mass is not to be missed so we heard the 9 am quiet mass at Camden. Lunch is served at Nona and Popo's place and that is much about it. I miss home but I'm still enjoying my stay here.